Is there really a difference between synthetic fertilizers and organic fertilizers? Well, not as far as your plants are concerned. Plants use nutrients from either a synthetic or organic source equally well. But, synthetic and organic fertilizers both have different long-term impacts on your garden, as well as the environment. 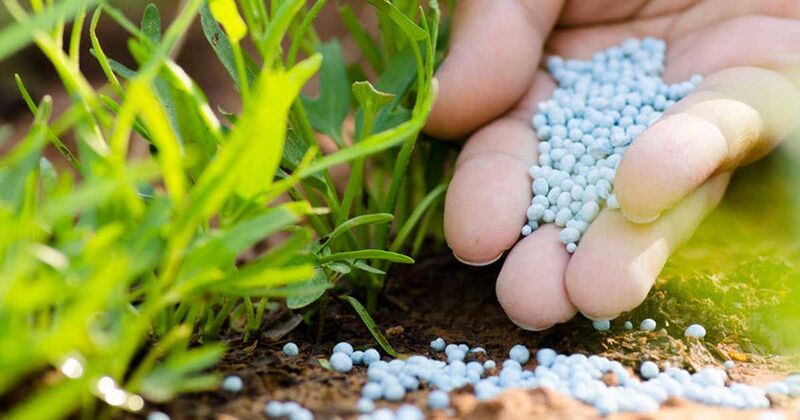 Here's what you need to know about fertilizers and how to make the best choice. Let's start with synthetic fertilizers. 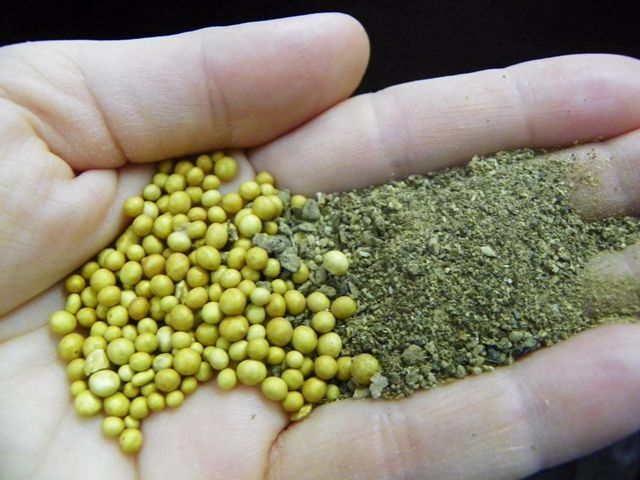 According to Jerry Gach, contributing writer at Enviro Ingenuity, synthetic fertilizers are inorganic compounds that are typically a petroleum-based product. Ammonium nitrate and potassium sulfate are examples. Most synthetic fertilizers provide a combination of nitrogen, phosphorus, and potassium, which are the macronutrients that plants require the most. Now, there are some benefits to using synthetic fertilizers. For one thing, you know exactly how much of each nutrient you're applying to your garden. And, the nutrients, already in an inorganic form, are usually readily available to plants. This means you will see results pretty quickly - sometimes within days even. On the downside, synthetic fertilizers usually leach out of the soil pretty quickly. So, you may have to apply synthetic fertilizers regularly to see consistent results. Unfortunately, it's the overuse of synthetic fertilizers that leads to the most problems. For instance, Scientific American points out that as excess nutrients are leached out of the soil, they make their way to waterways. The excess nutrients in the water encourage the growth of algae blooms so large that when the algae dies and begins decomposing enough oxygen is removed from the water that dead zones form. Dead zones refer to areas of water where there isn't enough oxygen to support fish and other aquatic organisms. On a more local level, the overuse of synthetic fertilizers can easily burn and damage your plants. In addition, synthetic fertilizers may feed your plants, but they do nothing to promote soil health. They don't contain any beneficial soil organisms, and, in fact, according to Jerry Gach, synthetic fertilizers kill many beneficial soil organisms already present. Synthetic fertilizers usually don't contain any micronutrients, either, which are necessary for plant health. So, the constant use of synthetic fertilizers can actually result in depleted soil. This means your plants will suffer malnutrition in the long term no matter how much synthetic fertilizer you apply. All of this isn't to say that you should never use synthetic fertilizers. If your plants are obviously malnourished or dying, synthetic fertilizers may be your best chance in the short term. However, for the overall health of your plants, soil, and the environment, try to rely mostly on organic fertilizers. Organic fertilizers come from Earth's natural materials, like plant and animal waste and rock minerals. There are some downsides to using organic fertilizer. Namely, like Oregon State University Extension points out, you have to wait for soil bacteria and fungi to break down the organic matter, making the nutrients available to the plants. In addition, you don't really know the concentrations of nutrients that you're adding to the soil. And, Planet Natural notes that organic fertilizers can still negatively impact the environment. For instance, the runoff of manure can contribute to algae blooms the same way synthetic fertilizers can. By and large, however, the benefits of using organic fertilizer far outweigh the negatives. Even though they take a while to break down, Planet Natural emphasizes that organic fertilizers provide plants with a steady supply of nutrients for a long time. And by using organic fertilizer, like compost, you add beneficial microorganisms to the soil, which are needed to break down organic material into the macronutrients and micronutrients that plants need. In addition, organic fertilizer, especially compost, helps to improve soil structure, aiding in water retention and drainage and improving overall soil fertility. In short, what you really need to know is that organic fertilizers support soil life and long term plant health. Whereas, synthetic fertilizers deplete soil over time. And no amount of synthetic fertilizers will make up for poor soil health.